The Boy Who Cried Ug! 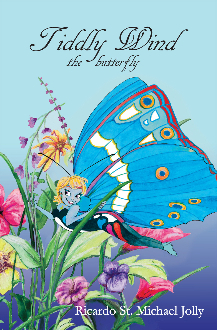 Tiddly Wind the Butterfly is an inspiring story about overcoming adversity to fulfill your destiny. From the time she was a caterpillar, Tiddly Wind was destined to become something special. The butterfly has hopes of training to become a Reflector of Hope, spreading messages of hope to fellow butterflies. When her small size and disappointing attempts to fly threaten Tiddly Wind's dreams, can she rise above the challenge to help save Faraway Gardens from its greatest enemy?